If there’s one real estate trend that’s surely taken flight over the last couple years, it’s drones (pun very much intended). Drones are leveling-up listing photos, turning basic from-the-ground house shots into aerial masterpieces that showcase the entire property—water features, landscapes, mountain views, and more. A recent panel at The National Association of REALTORS® Conference and Expo in Orlando tackled the trend and highlighted some of the issues surrounding it in a 90-minute session entitled: “Unmanned Aerial Systems (Drones) and How They Can Help You.” Moderated by Trey Goldman, legislative counsel for Florida Realtors, panelists discussed regulation updates, safety education and more, while providing specific examples of how drones can take listings above and beyond. 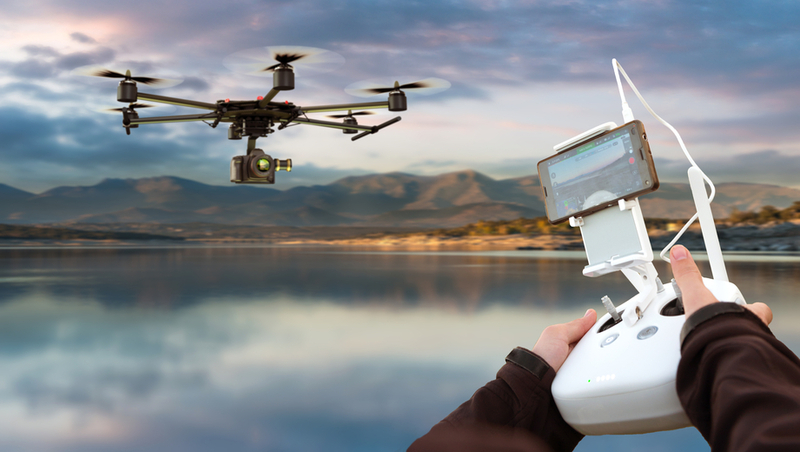 The Federal Aviation Administration (FAA) forecasts that there will be over 1.3 million commercial drone pilots by 2020, with over 11 million commercial drones sold. Drones are a $2.6 billion market today, and is set to quadruple in 10 years to over $10 billion. Goldman noted that much of the damage from the recent Hurricane Matthew in Florida was shot via drones and that Disney World just received permission to fly drones over their parks in the evening. Drones are here to stay and everybody wants in...even those with world-renowned mouse ears. Danielle Corbett, aviation safety inspector for the FAA’s Unmanned Aircraft Systems integration office educated attendees on the office’s new Part 107 rule, which saw to the development of a brand new pilot certificate called the “Remote Pilot Certificate.” This special certificate is specific to flying unmanned aerial systems (UAS), and can be obtained “fairly easily” without learning the ins and outs of larger aircrafts. Interested parties do have to take a knowledge test, but if one has $150 and 20 hours of study time, this certificate can be reasonably acquired by anyone. It should also be noted that the certificate requires a retest every 24 months, which is in compliance with the general flight review of all airmen. “Part 107 is a starting point,” said Corbett. “If you want to do things at night or over people or beyond visible line of sight, Part 107 is restricting that right now.” Pilots can, however, bring a safety case to the FAA, if they can show how they can conduct these flights while maintaining safety. Exemptions may be given on a case by case basis. Corbett noted that as soon as Part 107 was released, they immediately began work on a rule for operations over people, and by next year, the FAA hopes to have a proposed rule ready for flights that extend beyond visible lines of sight. Tim Nguyen, manager of Business Development and Strategic Partnerships for DJI, the world’s leader in consumer and commercial drones, said that censors will be increasingly integrated in drones going forward. From roof inspections and mapping projects to 3D maps of construction sites, censors will be key in advancing this tech, but apps will also play a significant role. “Having apps on a drone makes it extremely valuable. Whether for insurance purposes or inspections, the possibilities are endless,” said Nguyen. He recommended Verifly, an on-demand service for drone insurance, which charges $10 an hour for a million dollars’ worth of insurance. This allows pilots to only cover the flights they operate as opposed to buying coverage for an entire year—something that could be a game-changer for many real estate agents wanting to test out this tech before fully jumping in. A general liability policy may also suffice, said Steve McIrvin, CEO of Autel Robotics. McIrvin suggested talking to your insurance agent and seeing if an all peril clause might cover you for flights in your area. McIrvin provided even more detail on how drones are changing the real estate industry and the world. “Drones are essentially flying robots,” he said, explaining that robots can replace a job for a human that is one of three things: dirty, dangerous or dull. “Imagine you’re a condo developer and you want to see how your structure is going up. You can do a precise flyover and repeat that every week, month or day, and make a 3D model and compare it to your as-planned diagram,” he said. Corbett echoed positive intentions on the FAA’s behalf. Stay tuned to RISMedia.com for more from this year’s REALTORS® Conference & Expo. Drones are an important component to marketing homes. I predict many Realtors will jump on the band wagon without fully understanding how to properly work drones into their marketing. An Australian Producer told me to keep honing my flying skills because there aren’t enough “good” drone pilots in the United States. My recommendation, if you haven’t incorporated video into your marketing don’t expect a drone to be a save all. It should be just one component of many. Yeah, they are cool to fly, I’ll admit that. But, it takes skill, hours of practice, safety awareness, imagination, and the right combination of tools with superior editing capability to get the right marketing video to “WOW’s” Buyers. Isn’t that the main goal for all of us? I know it is for me.